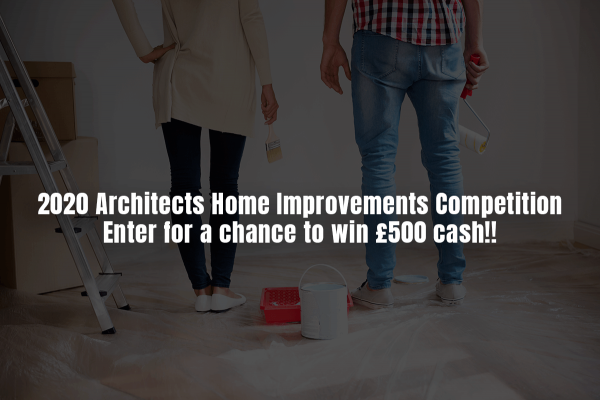 2020 Architects Home Improvements Competition | £500 first Prize! Competition Now Finished. Winners will be published in the coming days. Follow us on Facebook for similar content in the future. 2020 Architects Home Improvements Competition. Enter for a chance to win £500 cash…and other amazing prizes!! Have you recently carried out any home improvements? Upcycled a piece of furniture, given a room a makeover, built an extension or even refurbished your whole property?? If so, enter our competition, for the chance to win 1 of 3 prizes, totalling over £1,100!! 1. Upload Before & After pictures of your project. 2. Fill in the form, telling us a bit about your makeover. 3. Visit our online gallery of entries and get your friends & family to vote for their favourite! The entry with the most votes will win the top prize of £500 cash! The remaining prizes will be picked from the next 10 most popular entries. The competition closes 31st August and winners will be announced on our Facebook & Instagram pages. 1. We (2020 Architects) will list before and after photos on this gallery page of our website where the public can vote. You can promote your own photos to friends and family, on social media, via email etc to gain votes. The one with the most votes wins the number 1 prize. 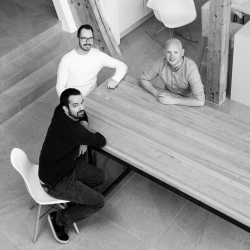 The following 2 prizes will be selected by 2020 Architects 3 Directors, Gareth, Michael & Richie. 3. When winners are selected a news post will get added on our website & shared on 2020 Architects Social Medial Channels. 4. 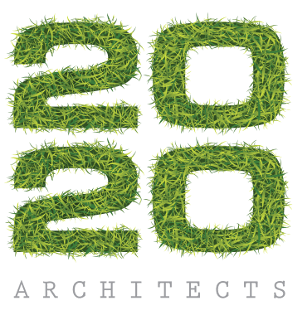 2020 Architects reserve the right to offer an alternative prize or amend the rules of this competition if necessary. 5. 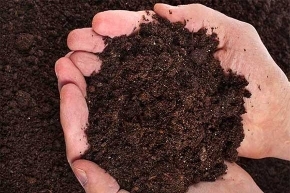 Use the form on this page to upload your before and after photos, write a blurb about your project, products you used and did you hit any awkward moments. 6. Attic stairs, voucher and cushions, no cash alternative, trading or transfer. 7. By submitting photos to 2020 Architects you agree you are the original photographer / owner of the image. On submission full copyright of your image are passed to 2020 Architects for use on the web, social media and in any other way at their discretion. Prize 1 – £500: 2020 Architects are giving away the top prize of £500 to the winner. The voting for this will be done via our website. We will inform everyone when voting opens where we will list before and after photos and clear instructions on how to vote. We will post this information on our news feed, newsletter and social media channels. Prize 2 – Value £380. 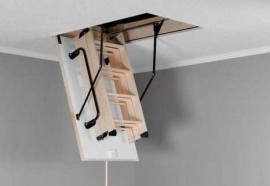 Manual Folding Loft Ladder & Insulated Hatch. 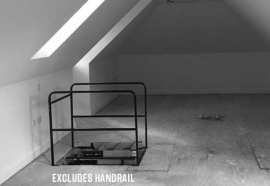 Tyrone Attic Stairs is one of the leading loft ladder installers in Ireland and the UK. The winner of this prize will be selected by the Directors at 2020 Architects. The winner will be informed as per the competition rules. Tyrone Attic Stairs will then contact the winner directly to arrange installation. Prize 3 – Value £250. 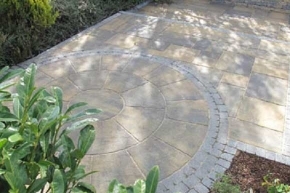 Online voucher to spend at Kelly Landscapes and Stone. 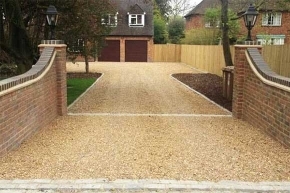 Kellystone.co.uk are a local provider of Gravels and Decorative Aggregates, Paving, Walling, Landscaping Materials and more. You can order these bulky goods online and have them delivered to your home. The winner of this prize will be selected by the Directors at 2020 Architects and will come from within a postal address within their delivery locations. The winner will be informed as per the competition rules. 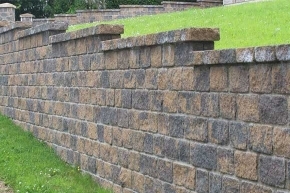 Kellystone.co.uk will contact the winner directly with their promotional voucher.